Brand new Tokyo Marui Aug High Cycle. Comes with all you see...never been skirmished and is just over 3weeks old. Shot in the garden but just isnt for me. Asking £240 all in. 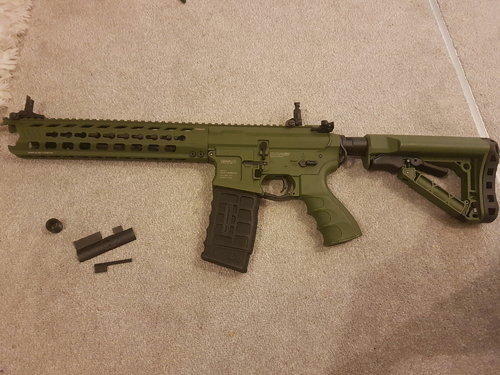 Also interested in trading for a firehawk or arp556. Ah I already have a arp9 lol but fancy increasing my collection. I had a scorpion a while back and it was awesome but just wondering how other rifs of similar values performance compares. Also heard the new 2018 scorpion has minor issues? Rif bundle!! Need gone! Buuuyyyy iittt!! First rif Umarex KWA MP7 Gbbr.....Awesome rif and works as it should. Comes with two mags one of which is leaking from the valve. Comes in original box which is tatty but usable. 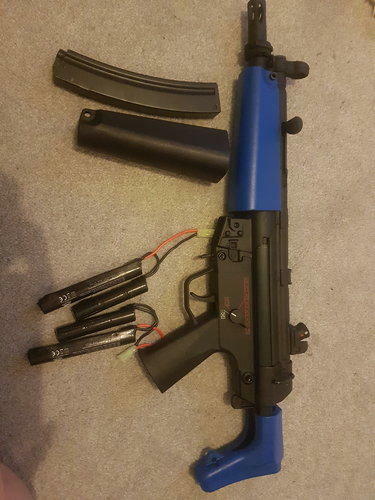 Second is a SRC mp5 works as it should and is two tone but comes with a black hand guard, will need 1cm trimmed off the inner grove to fit. The stock should easily be sorted with white spirit etc. 330fps Third is a G&G Umg it's all there but needs to be put back together. I took it apart for something to do but haven't had the time to put it back together. 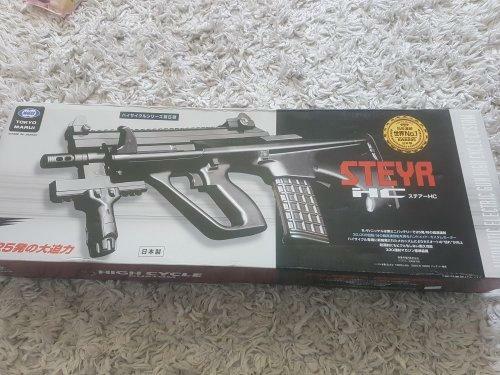 SRC Mp5 for sale. Comes with all you see. Fps is 330 -335 fire as it should. Full metal and fairly heavy. The stock is blue but should be easy to remove if needs be. Comes with a blue hand guard and also a black hard guard. The black hand guard will need 1cm trimmed on the inner grove to fit perfectly. 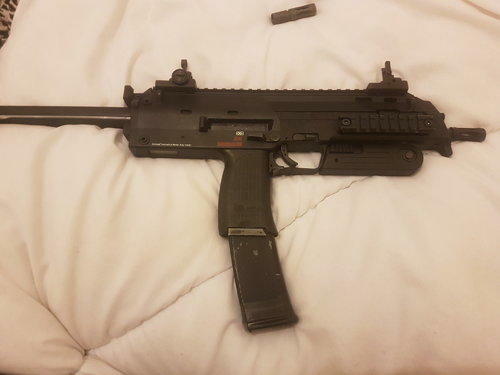 Umarex KWA Mp7 Gbbr for sale. Comes with two mags one of which leaks from the valve. Fires as it should and is awwwwesome! Comes with original box which is tatty but useable. Offers welcome cash or swaps. 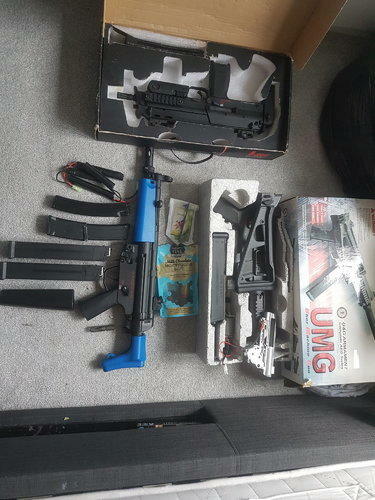 Am after mainly cqb weapons but anything else welcome also. Comes with all you see. Works as it should but the hop up sliding chamber has been broken (as per picture) doesn't affect performance. Comes with original box also. Has got a chip which is pictured. Open to trades for any gas blowback rifles.